Guthrie Govan Discussion :: View topic - GG playing an 8-string at all? GG playing an 8-string at all? Posted: Sat Mar 21, 2015 8:44 pm Post subject: GG playing an 8-string at all? Naturally, it doesn't surprise me that Guthrie would use whatever tool he'd deem necessary to get the job done, but still, I heard him say numerous times that he hasn't yet reached the capabilities of a 6-string guitar (rhetorics, I know) so he wasn't really dabbing into playing a 7 (let alone - string. Guthrie has owned a .strandberg* Boden 8 with True Temperament frets for nearly a year now but he has been on the road for most of that period so he really hasn't had as much time as he'd like to really learn the capabilities of an 8-string and get comfortable enough to use it much for live or studio applications. I do know that he really likes the instrument but he's not going to do any Djent kind of stuff with it. Metal is something that he's just not into playing personally although he appreciates great metal music and players. I'm pretty certain that he's more interested in exploring extended chord voicings with clean sounds and for single-note lines with overdrive sounds than heavy riffing. It'll take time but I'm sure that he'll eventually come up with some very interesting things with the 8-string. He told me that he'd want to have something to say with it than just play it for the sake of it. So he's still in the experimental and exploring phase with it. I'm certain that we'll hear some cool stuff from him with the guitar eventually. Here are some pics of Guthrie's US Custom Shop Boden 8 with the True Temperament frets. Guthrie has since replaced the Lace Alumitone pickups with EMG 57 and 66 8-string pickups. 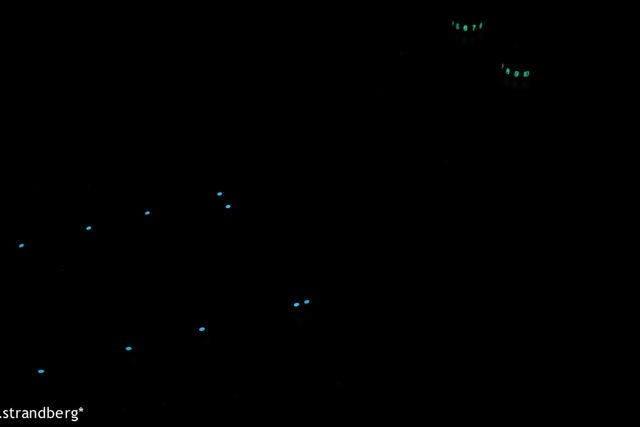 Glow-in-the-dark dots are pretty cool. Guthrie owns and plays many different kinds of guitars for different situations. He also has the Vigier Surfreter fretless guitar that he likes to play every now and then. He has an old Gibson ES-335 that he's very fond of. He has a Taylor acoustic-electric. He has a now-discontinued Fender Jazzmaster Select with two custom humbuckers that he's using on the road now with Steven Wilson. As mentioned earlier in another thread, he's always thinking music first and on the lookout for certain sounds (be it guitars, amplification devices or effects pedals) that will help him realize a certain musical vision. He is interested in the possibilities different kinds of instruments and gear offer. Like many others, I'm obviously interested in seeing what he'll come up with on the 8-string. Well, speaking of the Boden 8, look who debuted with one. The one-and-only Devin Townsend! This is from the sold-out show at London's Royal Albert Hall on Monday night that was taped for a future DVD. 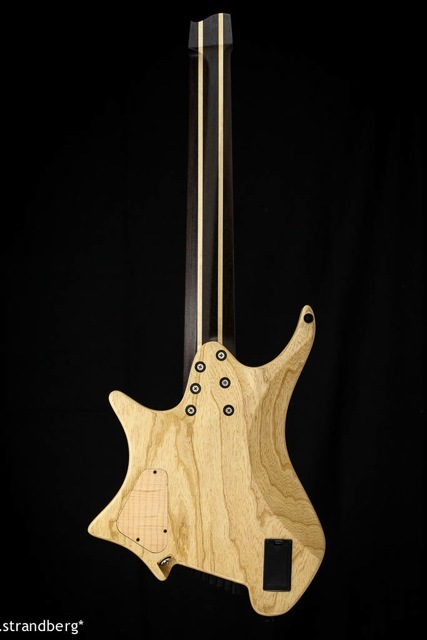 This is custom build with a solid-body (not chambered) and the low 8th-string is a .095" tuned to a low C! 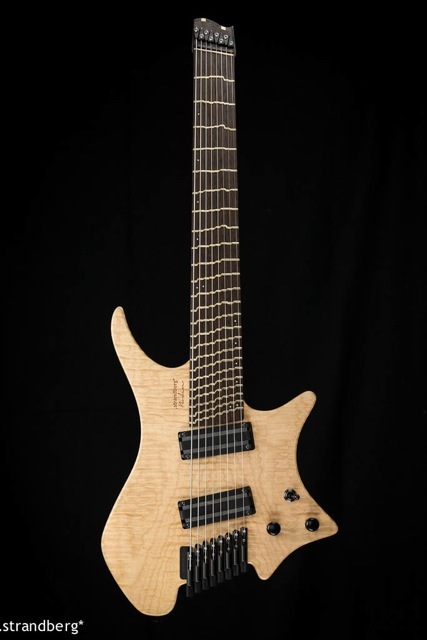 Yes, things are on a roll at .strandberg*. And you're blessed to be part of things that are rollin'! Amazing stuff, Ed! Thanks. Yes, I feel very blessed and fortunate to be doing all these things I love to do and working with people I really admire and respect. That goes for my job at GC, my partnership with The Aristocrats, working with Guthrie, working with Ola Strandberg and his very-fast-growing company as a partner, and now working with Plini on top of that. 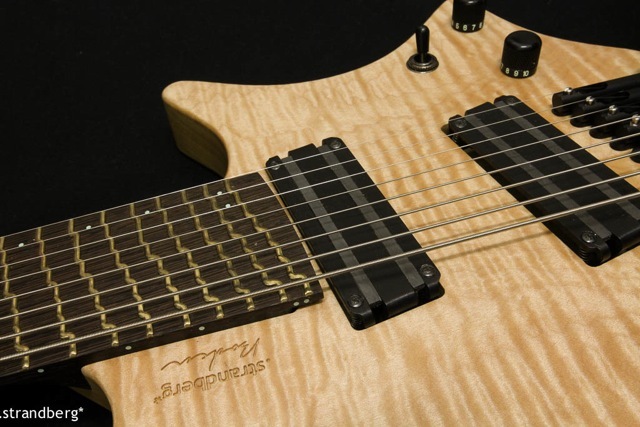 It's been insanely busy the last several weeks so that's why I've been kind of quiet here and it'll get even more busier with more Strandberg guitars coming in (most SKU's from the first shipment sold out in less than a month) over the next few weeks before I embark on another long trip to Asia visiting GC's factories in China and the World factory building the Boden OS guitars in Korea. For me, visiting Korea is certainly more pleasure than business as it's really a home to me but it's great that I can tie the visit with some serious business as well. And it's always great to be in the front end of a long growth curve. Even my job at GC is about growing a certain segment of the company's business and it's been growing like a small startup within a huge corporation so that's really fun too. Ditto for Guthrie, The Aristocrats, Strandberg and now with Plini - all in the early stages of growth with still so much potential for even greater growth in the future for many years to come. But it's a lot of work as you can imagine. I'm putting in 70~80 hour weeks but that's how I like it. Once a workaholic, always a workaholic. It's been insanely busy the last several weeks so that's why I've been kind of quiet here and it'll get even more busier with more Strandberg guitars coming in (most SKU's from the first shipment sold out in less than a month) ovekr the next few weeks before I embark on another long trip to Asia visiting GC's factories in China and the World factory building the Boden OS guitars in Korea. For me, visiting Korea is certainly more pleasure than business as it's really a home to me but it's great that I can tie the visit with some serious business as well.